If you want to claim your income tax refund, then you should keep a few important things in mind. Here is all you need to know. 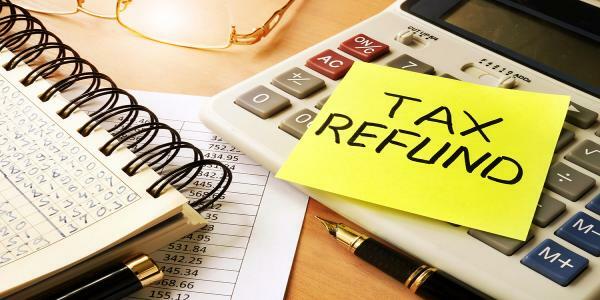 How to Claim Tax Refund: Once in a year, you get the opportunity to claim the refund of excess income tax paid by filing your return. Do it carefully. The euphoric feeling of getting an Income Tax Refund is nothing less than winning a lottery. Both come as a complete surprise. The most important difference between them is that the money you earn from the lottery is tax-free while your tax refund is the money the government owes to you. Once in a year, you get the opportunity to claim the refund of excess tax paid by filing your income tax return. However, you need to keep a few important things in mind to ensure that you get your income tax refund on time in your bank account. From childhood, we are habituated to doing important tasks at the last moment, whether preparing for an important exam or paying the electricity bill. No doubt we always file our tax return at the last moment as old habits die hard. “Remember that after you file your tax return, the tax department takes some time to assess your ITR and issue your refund. Hence, it’s a no-brainer that early filers get their refunds sooner than others. Procrastinating on this task can result in you missing the deadline, and ending up paying a late filing fee out of it. You will also lose any interest payable on your refund by the government. 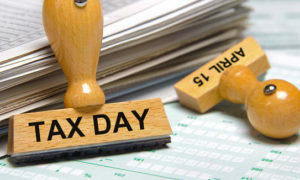 So, always file your taxes as soon as possible,” says Chetan Chandak, Head of Tax Research, H&R Block India. There are various kinds of expenses and investments which can be claimed as a tax deduction by filing income tax return. If you fail to claim the tax deductions that you are eligible for, you will lose the opportunity to get the refund of excess tax paid to the government. Hence, it is advisable to get your taxes filed through an income tax e-filing intermediary to save tax and claim the correct amount of money as a refund. These days, e-filing of Income Tax Return has become mandatory for almost all taxpayers. However, there is the last part of filing taxes which can either be done online or offline. That is the verification of your tax return. Once taxes are e-filed, you can download the physical copy of the ITR-V form and send it to the Central Processing Centre (CPC) of the I-T Department. However, this will delay your refund as the physical copy will take some time to reach the CPC. Instead, you can go paperless and e-verify your ITR to save time and get your refund sooner. It is important to file your tax return accurately to get the excess tax paid back from the government as early as possible. “If your make any errors in your return, the tax department will ask you to revise your return. As a result, you will have to wait longer to get your refund from the government. There are some other minor errors which cannot be identified by the Assessing Officer and can cause a delay in refund of taxes. One such error is providing incorrect bank details in the ITR. In this particular case, you will have to raise a refund reissue request with correct bank details,” informs Chandak. The Income Tax Department provides an online facility to check the status of your Income Tax refund. Using the e-filing portal of the I-T Department, you can track the status of your refund. If it gets delayed due to any reason, you can easily find the reason from the portal and take the necessary action. These important activities will surely help you in getting your well-earned tax refund on time.